How to start an apartment renovation, so that repair work does not stretch out for an indefinite period, and the final result undoubtedly pleased you, this is what the article will discuss in today's article. Repair in the apartment requires serious preliminary preparation. The most important point is to draw up a detailed plan for future repairs, taking into account the smallest nuances. 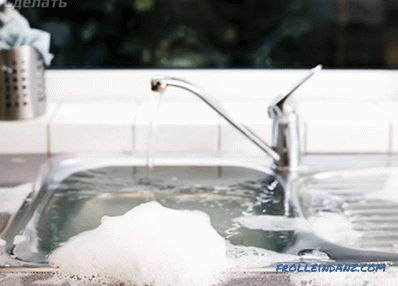 Consider, point by point, the advice of professionals on the proper organization of repair work in houses and apartments. First of all, you need to decide on the complexity and volume of future repairs. To make the apartment light and clean, it is sometimes enough to carry out cosmetic, surface repairs: replacing wallpaper, whitewashing the ceiling, changing old linoleum, painting walls, etc. If you want to completely get rid of all that is annoying and old, decide for major repairs with replacement of windows, leveling walls, installing new floors, modern ceilings. Your home will transform and become new and beautiful. You should not abandon the help of experienced specialists during the overhaul. 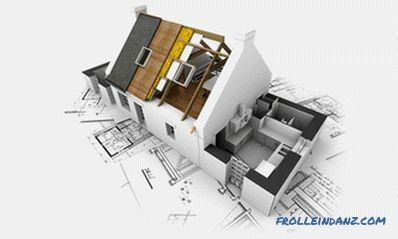 Especially it concerns the creation of a modern design of your apartment, including the redevelopment and demolition of some walls and partitions. Plan your repairs based on your financial means. First, decide on the interior and design of each individual room that you plan to change in your apartment. You can seek advice from a professional designer, which slightly increases your total financial costs for repairs. For rooms where repairs will be carried out, it is necessary to perform detailed drawings of the successive stages of repair work. We recommend performing five detailed repair sketches for each individual room. On the first drawing, display the room view from above, and on the other four, each wall. 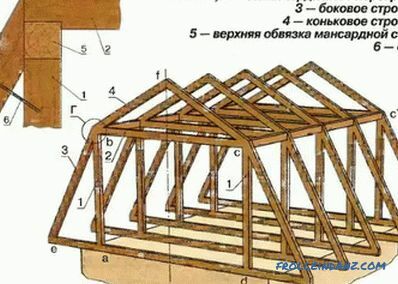 Each drawing should be supplemented with a detailed description and a plan for the sequential execution of repair work, thus avoiding omissions and inaccuracies in the work. Consider the location of the furniture. Those walls that will be most striking should be given special attention and apply the highest quality finish. Think about where it is best to place lamps and chandeliers so that the light illuminates the room as much as possible. 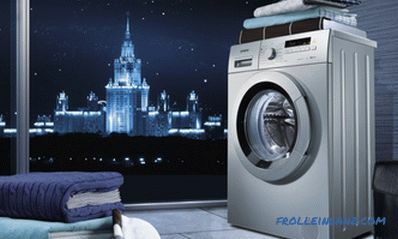 Given the location of the home appliance, specify the places for the sockets. To then correctly design the installation of electrical wiring in all rooms. Consider the location of the main decorative elements: paintings, mosaic, brick wall. 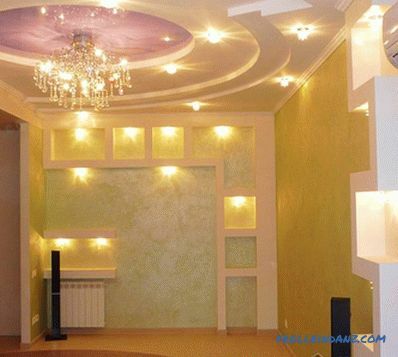 In terms of repair, you need to specify the desired finish: wallpapering walls, painting, etc. To divide a room into separate zones, designers recommend painting one wall with a different color in order to accentuate attention to it and visually share a room. These moments also need to reflect on the plan. According to the advice of experienced specialists, in order to avoid excess dirt and dust during repairs, it is recommended that you first repair the rooms, most distant from the front door. 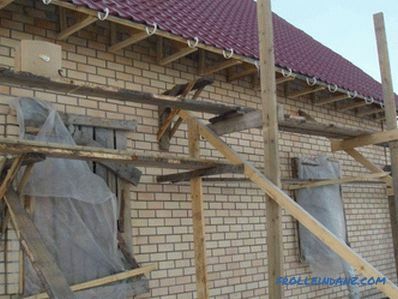 At the final stage of repair, it is advisable to choose walk-through rooms and a corridor through which building materials and tools constantly rush. 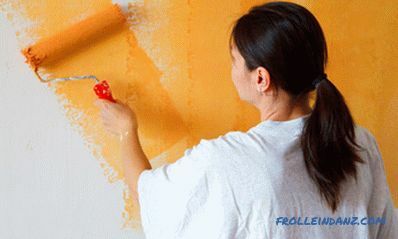 It is necessary in order not to stain or scratch the finish of the already repaired wall, not to damage the new floor. Additional protection of the renovated room can be a cellophane film (mounted on the outside of the door), which will reliably protect the room from building dirt, dust, plaster, paint, accidental damage. All repairs should not be carried out on their own. At your request, the execution of all repair work or only the implementation of particularly complex repair operations can be entrusted to qualified specialists. First, experience and knowledge will allow them to perform repairs quickly and efficiently. Secondly, you do not have to additionally buy expensive tools, with the help of which the screed is ideally poured on the floor or the tiles are laid out. Even if it seems easy to install an interior door, the slightest inaccuracy is unacceptable here. 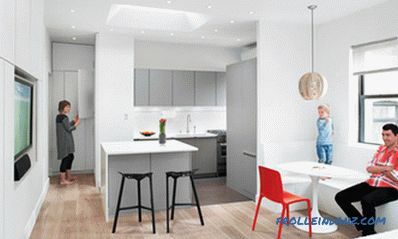 Of course, you can hang and arrange kitchen furniture, smooth the walls and produce a small color yourself. But you can rely on more complex repair work to specialists so that you do not have to redo it, which can significantly increase your financial costs for repairs. # 1. After the final design selection of the appearance of the rooms, furniture and interior, it is necessary to make a complete list of the necessary building materials. Their number and total cost depends on the amount of repair work and the way they are carried out. If you allow the budget, you must purchase building materials with a small margin. # 2. Separately make a list of decorative elements: holders, shelves, mirrors, paintings, etc. Begin the purchase with the selected decorative elements. If the planned element of the decor is not available, you can quickly change or create a new design version of the repair of the apartment. # 3. 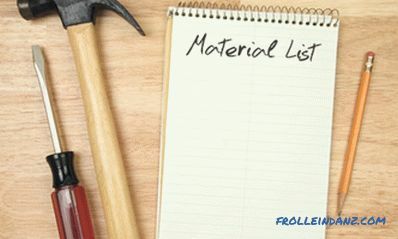 Make a list of necessary construction tools for repair work. To do this, you can use the advice of the seller-consultant in hardware stores or skilled repairmen. 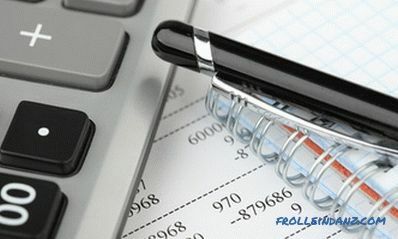 repair specialists, you can calculate the estimated total cost of the planned repair. Do not rush to buy all the materials when you visit the first store. In the lists of materials and tools put down the prices of different stores, which will allow you to purchase at the lowest cost. Carefully consider the choice of service repair teams. Pay particular attention not only to the proposed cost of repairs, but also to reviews of your friends about the quality of repair services. Collect furniture in the central part of the room to protect the furniture from damage, construction dirt and dust. Then carefully cover with plastic wrap. This will free up access to the walls and ceiling. Transfer expensive equipment and clothing to other rooms. Repair work should be started from the most dusty ones: replacement of window blocks, window slopes and installation of new window sills. This will avoid dirt and dust during painting, when it is forbidden to open windows to avoid temperature drops and increased humidity. When windows, slopes and window sills are installed, cover them with plastic wrap or hardboard to avoid accidental mechanical damage and contamination. Mark the location of the installation of additional sockets, make the wiring of electrical wires. At this stage, do not install sockets and do not connect them to the panel. In the case of welding operations (for example, when replacing radiators), perform them at the same time in different parts of the apartment in order to quickly perform this dusty and difficult work stage, sometimes including breaking down walls. Before repairing walls, floors, ceilings, you must check their condition with a laser or water level. Start by applying the thickest layers of mortar. During their drying, you can perform other minor repairs without downtime. After completing this preparatory stage, proceed to repair work, performing them in the following sequence: repair of the ceiling, walls, and floor. Initially, work is performed using putty, cement, plaster mixes. Then proceed to the installation of the floor, doors, slopes. Pasting or painting the ceiling. Wallpapering or painting the walls. Installation of plinths, sills, trim.